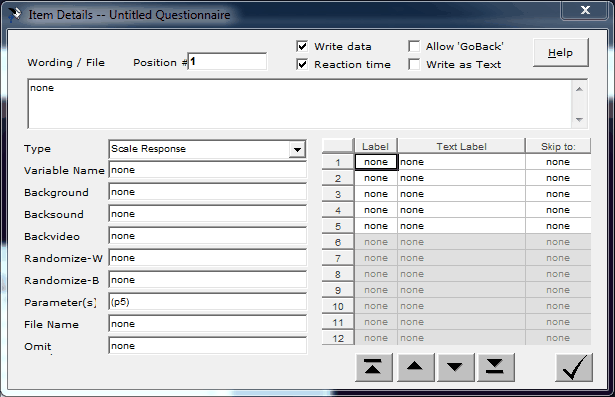 When the Reaction Time field is checked in the Details menu (see below), the response time for the item will be written to the main data file. In the data input file which MediaLab creates, a "t" will be appended to the beginning of that item name in order to create a new variable name for the response time. You can leave this field unchecked if you have no interest in assessing the response time for a given item. Also see the Data section of the manual for more details.